The Telangana Chief Minister KCR has made a sensational announcement that a third party will be formed by the BJP and non-Congress parties in the Center.This has led to a serious debate in national politics.In the past, the TDP chief NTR formed the 'National Front', which included the local government and communists in the country as the alternative to the Congress.Now that KCR has made such a statement, it has started a nationwide debate.On the other hand, the BJP is showing aggression. On the other hand, the Congress is not able to stand up to it.At the same time, the argument that the BJP does not ignore the views of the states and does not give minimum respect.In the meantime, his close associates say that KCR's proposed third front would be possible.KCR feels good results at the national level with resolving the issues of the country's farmer and protecting the powers of the states. The Bharatiya Janata Party is in the political context.Its continuous Jaitarathra began in 2014.The saffron party is in power in 21 of the 29 states in the country.The BJP, which is the Congress mukat Bharat, began to sink in the middle and northeastern states.Now it is the only south Indian state with Odisha and West Bengal.At present Congress has only left Punjab, Karnataka, and Mizoram.West Bengal, Odisha, Delhi, Telangana and Kerala regional parties.The BJP is making effort to make a comeback in next year's elections in Karnataka, West Bengal, and Odisha.The statement on Telangana CM's third alliance has become a sensation.Apart from the Congress and the BJP, there is a need for new energy at the national level...Analytics added that the change in the country is urgent.If the steps towards the third front, he said that he will lead it.We all want to connect this.There is a somewhat pleasant atmosphere between the two Telugu states.If they break up the battle between the BJP-TDP and the TDP, it will be more likely to be tilted towards the Third Front.On the other hand, Naveen Patnaik is not in favor of BJP in Odisha. Left parties, West Bengal Chief Minister Mamata Banerjee, DMK leader Stalin from Tamil Nadu, Mulayam-Akhilesh, Mayawati and Bihar in Uttar Pradesh ... KCR has already started campaigning in political circles.But the Left parties are also looking to the Congress.If the third front is formed, the TMC is headed by West Bengal Chief Minister Mamata Banerjee.The announcement of the KCR on the formation of the Front was supported by Mr. Mamata Banerjee.Directly KCR phone and fully supported. "We agree with you.We will be with you. " Jharkhand Mukti Morcha leader and former Chief Minister of the state Hemanth Soren also became KCR.Welcomed KCR's decision to play an active role in national politics.The BJP feels that it should be kept in custody even when it comes to power in Tamil Nadu.It looks like it is already in the BJP high command touch with Stalin.Nitish is already behind BJP in Bihar.The BJD, led by Odisha CM Naveen Patnaik, is ruled by unconstitutional power in that state.In the past, the party, which had been allied with the BJP, broke up.The BJP tactics are now demanding that it be sacked.Recently, Amit Shah is also the first to be a part of Odisha.BJD is likely to be on the third floor in compulsory conditions.JDS in Karnataka, Akali Dal in Punjab, Shiv Sena in Maharashtra, BSP and Lalu Prasad Yadav's RJD are also looking forward to the alternative. That is the situation where the BJP and the Congress can not merge. This is the situation of the NCTC of Jammu and Kashmir. If they all come together then the third-front will be formed. It is certainly not the case that people across the country are satisfied with the BJP rule. In the Rajasthan and Madhya Pradesh, the party is going to be known for the results of the by-election. There are signals that regional parties are united to face the BJP in the background. The third front has come to the fore with the 2014 election. Bihar Chief Nitish Kumar, who was supposed to be in the race for the race, He opened the JDU Third Front meeting. The BJP and non-UPA parties were held at the Talakota stadium in Delhi. The meeting was attended by Left parties, JDU, Anna DMK, BJD, NCP and other parties. Nitish announced that around 17 parties are in favor of Third Front. KSR has been introduced to national level leaders of various regional parties while working as minister of state. The third front is the subject of reference. He has never had a negative reaction to him. Everything is connected with the KCR argument, including statistics, that the Center is damaging federal spirit. 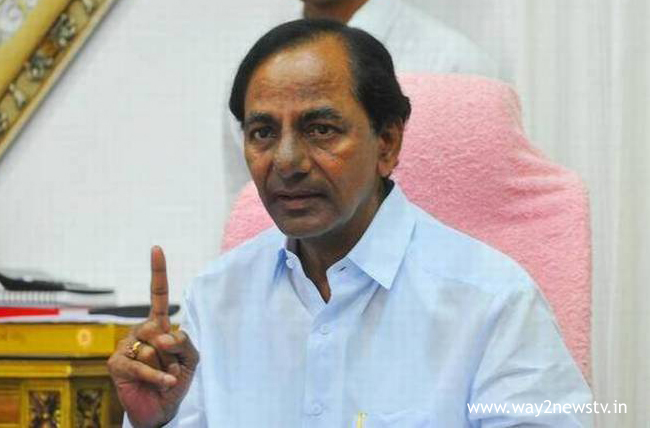 Political scholars say KCR's recent Delhi tour has promoted the 'Third Front' initiatives. KCR, who came up with an assessment on how the political equations are changing across the country, has reportedly discussed with senior journalists and political analysts in Delhi. He feels that the national parties will be able to stand up if the regional parties are to team up.